Pet supply manufacturing business protecting the health, comfort of pets worldwide! 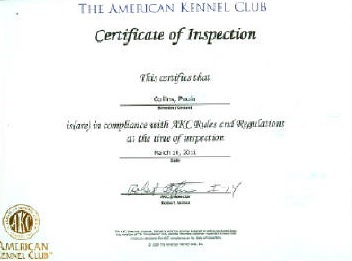 We raise only AKC registered Poodle puppies. We breed Miniature, and Moyen sizes. We manufacture the 'ORIGINAL' Puppy Pouch, pet beds, other fine USA manufactured pet supplies. Come look at our Poodle babies!! We specialize in AKC registered Tri-Color, Parti, Phantom and solid color babies. We raise Miniature and Moyen size Poodles . We never in-breed or line-breed. Protecting genetic health in our poodle puppies. We follow AKC guidelines for attitude, confirmation & coat texture. We charge very reasonable prices. We offer a written guarantee & we do ship during proper weather conditions. The "original" manufacturer of the "Puppy Pouch"!! Tango's Haus is the "original" manufacturer of the "Puppy Pouch"!! We use only the best materials, webbing, velcro and buckles that are available on the market today. Our "Puppy Pouch" also doubles as a car seat by putting the straps around the headrest in your back seat, threading the seat belt through the bottom of the "Puppy Pouch" and then snapping it into the seat belt latch.